I just completed a behind-the-scenes article for the Vail Daily based on a recent stage I experienced at Toscanini Ristorante in Beaver Creek Resort, Colorado. One of the delights of these culinary experiences is my opportunity to interview and get to know the chefs better. In the case of Executive Chef Paul Wade, I already had worked with him and knew him quite well before I donned my white jacket that cold day in December 2014. But when it came to interviewing Chef Wade, I quickly discovered as I drilled deeper, there was a lot more percolating below the surface. Space and topical limitation are always a bear with these articles. 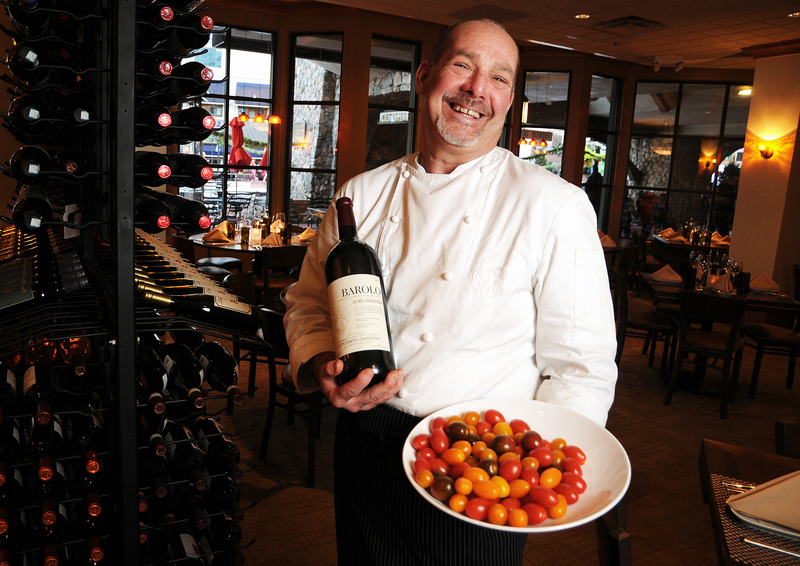 I wanted to share some more about Chef Wade, including his delicious pomodoro sauce recipe! What better, then, to take to my blog and take my readers even further behind the scenes to share some of Chef Wade’s musings. Chef Paul Wade is an award winning professional with 36 years of experience in the high end, ultra-luxury resort hotel and restaurant market. As a specialist in customizing and personalizing the guest experience through innovative, competitive features, food styles and impactful programming he has a proven track record of creating successful restaurants and delivery teams. 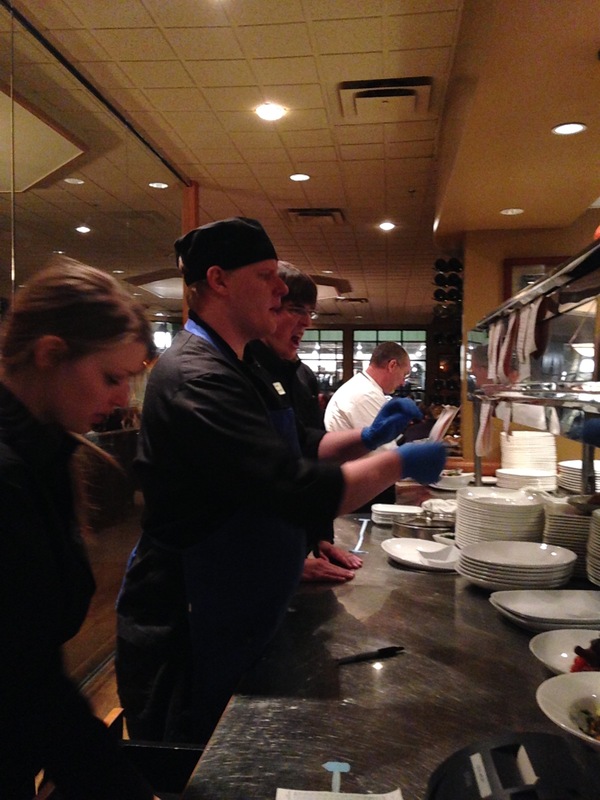 Chef Paul Wade in his element as service begins at Toscanini Ristorante in Beaver Creek Resort, CO. So, with that in mind, I asked Chef Wade to describe his favorite role in a restaurant? I’ve always been a better producer and director than headliner. I make stars. Look around, they shine bright. It’s what I do. I light the path, they grab the proverbial brass ring. Not without some heavy coaching and hard work on their part. It’s always about fortitude, belief and patience. They always blossom. All of them. Aside from the people role, in my industry, I am a technician, an engineer of sorts I suppose. I love to craft successful concepts and watch them flourish as well. It’s my gift. My garden to care for. I’m a very lucky guy. In spite of my soloist behavior, I’ve found that Vail Resorts has been the perfect environment for me. Innovative, clever, growth oriented, and not afraid of risk. I have great respect for this group. Double lucky I suppose. Thirty-six years this year in this industry with a start in my hometown of Napa, California, it’s about the lesson and giving back. If you seek immortality, teach. 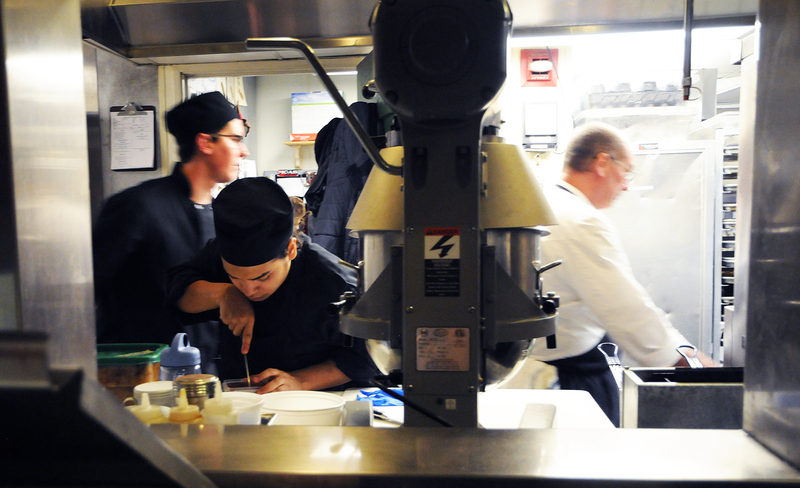 Sidebar – As when I worked alongside Chef Wade and Leonora’s young, talented Executive Chef Sergio Howland for the article above, for this one, Chef Wade pushed his young protégé Chef de Cuisine John Zavoral in the spotlight as he faded into the background. It’s all about the young chefs where Chef Wade is concerned. Chef Paul Wade’s latest protégé, Chef de Cuisine John Zavoral. Chef Wade’s Pomodoro sauce is so delicious and versatile. He graciously shared it with me. In a large heavy-bottomed pot or Dutch oven, heat the olive oil over medium heat. Add the garlic and cook until fragrant but not browned, 1 to 2 minutes. Add the tomatoes, bring to a simmer, and cook until thickened slightly, about 15 minutes. Stir in sugar, and season with salt, to taste. Meanwhile, cook pasta in boiling, salted water until al dente. Drain. Serve sauce over hot pasta with a drizzle of olive oil, a sprinkle of basil, and cheese. Let extra sauce cool completely and then seal in airtight containers. Refrigerate for up 1 week and freeze for up to 1 month. 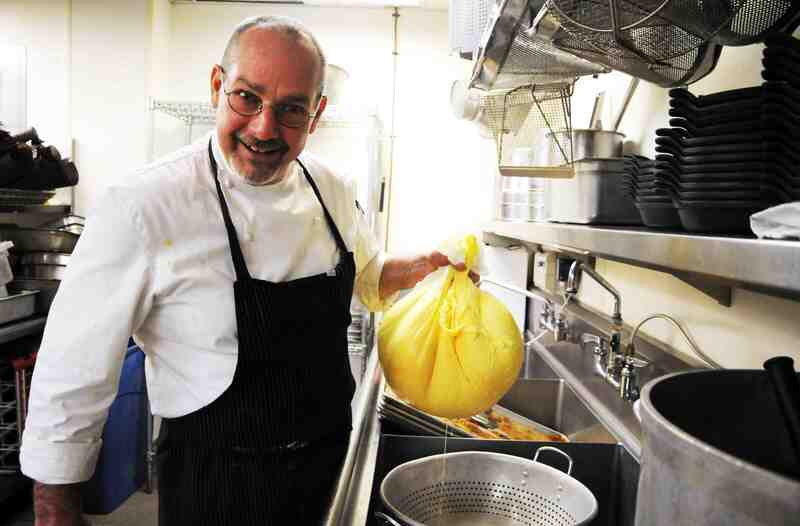 Chef Paul Wade making farmhouse cheddar at Toscanini. He loves to use artisanal products, particularly if he is the artisan! Why did you introduce that delicious North African sausage, merguez, to your menu at Toscanini? When the Moors overran Italy, it changed the course of cuisine forever. The end result is not only fascinating historically but delicious. Go to Malta for a bit if you want that history right up in your face. Geesh, the food is spectacular. 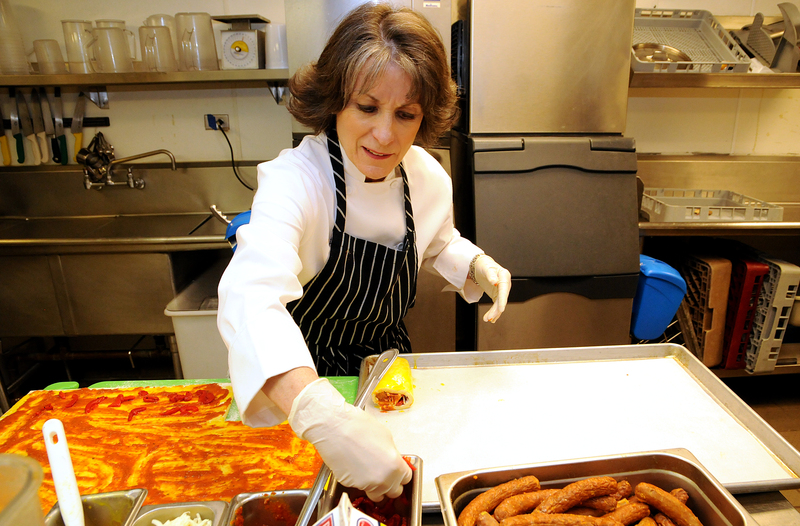 Suzanne making Merguez Stomboli with house made Pomodoro Sauce and merguez. Regarding restaurant openings and turnarounds, roughly how many openings and turnarounds have you been involved with? Which ones stand out in your mind? The Little Nell was the hairiest. We were reviewed by the New York Times a week after we opened. It wasn’t fair, but we still scored well. What is your philosophy to successfully open or turnaround a restaurant? Simple. Deliver a key delivery system, concept and team. Preparation is key to success. 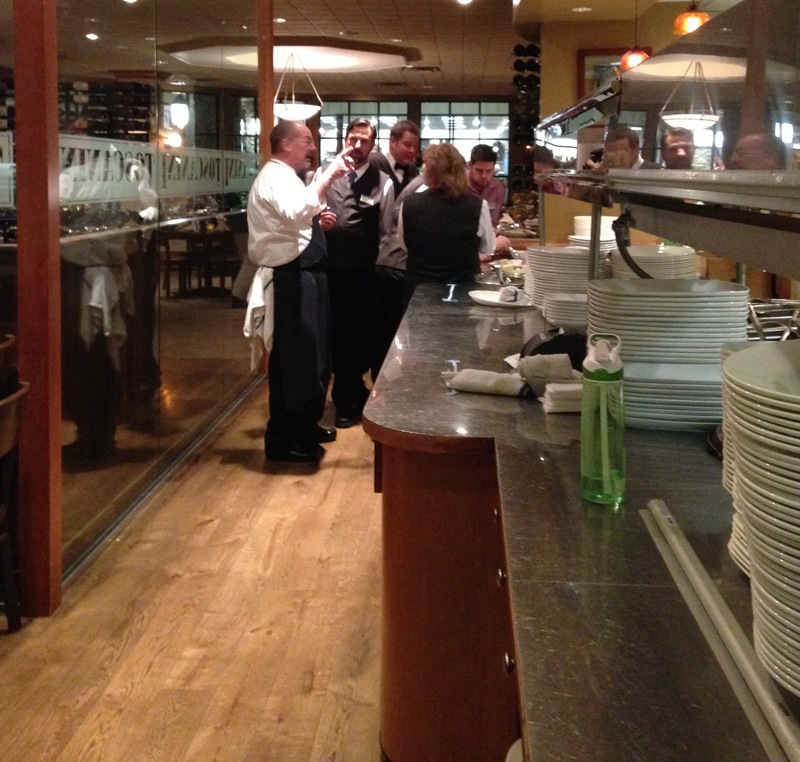 Busy time at Toscanini as prep ends and service nears. How is an opening different from a turnaround? A turnaround is reinventing a space with historical precedence that is no longer successful, and that is subjective in and of itself. An opening is a fresh launch, lifting a well thought out concept and pro forma off the paper and into reality. A total rush. Both, because you are lighting the path, both are stressful. In one, you bring hope for positive change, a new beginning and compassion to the players on the ground. In the other, it’s about the same with the addition of the feeling of launching a rocket to Mars. I have to ask you, Chef, what do you love to cook for yourself/friends and what is your favorite type of cuisine to eat and cook? BBQ, my wife Cris’ cooking, French cuisine, Asian cuisine, a monstrous cheeseburger at 2:00 a.m., Southern Italian. My wife is southern Italian. You said Cris cooks for you. Describe a bit her style and her favorite things. Simple, good, real. She’s brilliant. We make fresh pasta, bread, etc., all at home. Two of Chef Wade’s most endearing qualities are his love of animals and passion for giving back. I asked him to tell me a little about his vehicle he created 22 years ago to achieve that goal in life. I’m executive produce and an artist for Brat Kat Records that I created in 1992. It’s a pro bono independent label dedicating all proceeds to various charity organizations globally. I am responsible for web design and content, marketing, in-house production, writing, sound engineering, recording, live tracking, mixing and performances on various musical instruments. 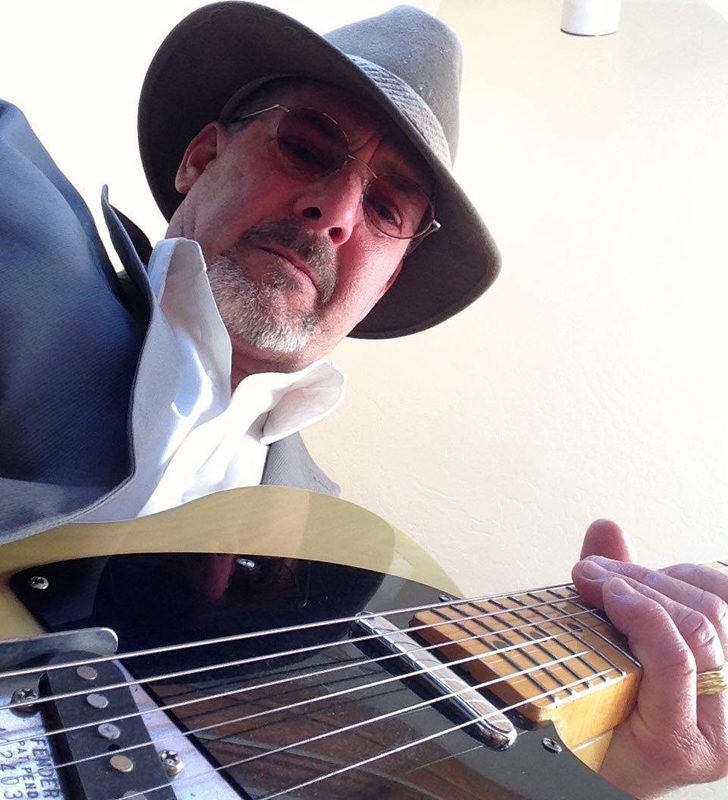 The other side of culinary passion is…..music. How would you describe this phase of Toscanini’s life in your life? Wonderful and less is more. I’m back to doing what I love. When I left the kitchens completely some time back as opposed to my usual dual roles, I discovered that the pressed shirt, business behavior and suit, laptop and lots of time on flights was simply not me. It was miserable to be at a board meeting and not cuss…..I mean honestly express myself. I was pretty frugal during my peak “chef” years and made good financial decisions. It allowed me the freedom to throw a hand grenade at my food and beverage executive career decision and come home to the whites and Viking mentality again. Not that it was not an amazing experience, and it was, but I have learned that next time I do something like that I’ll carefully craft that role. Vail Resorts has that. There are some really amazing players in jeans and Helly gear, yet they operate in the stratosphere. A new fresh way of operating, like Apple and Google. No suits and no, well, no BS. What are your professional and personal goals with Toscanini? I want to see Toscanini embrace a level of refinement and fun sophistication as is fitting for the Beaver Creek environment. It has it and always had, but as a Napa native, I’d like to see it become more of a Tra Vigna and less of a Babbo if you will. Casual but outstanding al fresco comfort food and we are well on our way with the team now in place. What do you see in the future for yourself and for Toscanini? Toscanini will see elevated success and I will continue to reintegrate into Beaver Creek and embrace the challenges that Vail Resorts offers me. Love the new career me! I have about 10 good years left, so watch out! 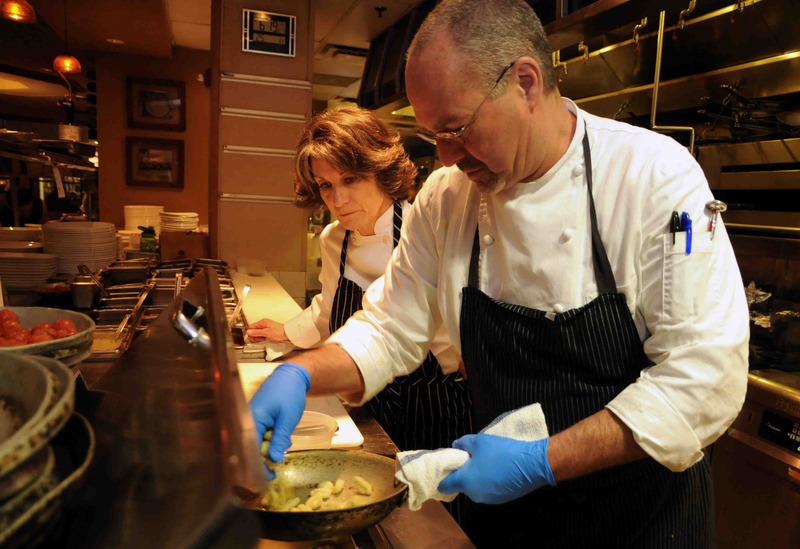 So much more to learn about Chef Paul Wade’s culinary and life philosophy and experiences. Visit him at PaulWade.net. Chef Paul Wade showing Suzanne the finer points of making Toscanini’s gnocchi with wild boar belly.